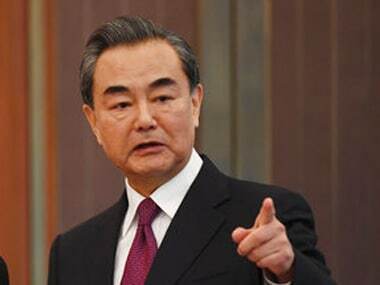 Beijing: India has "outmanoeuvred" Pakistan by effectively branding it as a "regional pariah" during Goa Brics-Bimstec summit where the country presented itself as a "bright spot", strengthening its case for the NSG membership and a permanent seat in UNSC, state-run Chinese media said on Wednesday. "Given the uneasy background of Indo-Pak tension, which escalated last month, India's inclusion of Bimstec (The Bay of Bengal Initiative for Multi-Sectoral Technical and Economic Cooperation) bore even thicker geo-strategic connotations," an article in the state-run Global Times said. 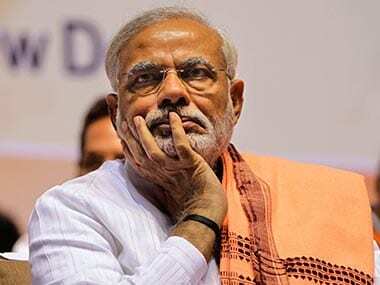 "As India invited all countries in the region except Pakistan, it in effect consigned Pakistan to be a regional pariah," the article titled 'India uses Brics to outmanoeuvre Pakistan', said. Referring to India's decision not to attend the South Asian Association for Regional Cooperation (Saarc) summit to be held in Islamabad after the Uri attack, it said, "The collapse of the Saarc summit presented India a rare opportunity to get rid of any constraints Islamabad may have over the regional group, as the same group would soon gather in Goa in the absence of Pakistan". By bringing regional countries - Bangladesh, Sri Lanka, Thailand, Myanmar, Nepal and Bhutan - together with the major emerging economies of the Brics, the daily said, India breathed legitimacy and substance into an otherwise "hallow and moribund acronym organisation". "While the rest of the Brics members would never openly endorse either side in the Indo-Pak tension, India in a way secured its stance vis-à-vis Pakistan by taking advantages of its agenda-setting powers for the summits," it said. "While the prospect of Bimstec as a more effective alternative to Saarc remains ambiguous, a subcontinent grouping without Pakistan balancing and checking a dominant India may well raise suspicions and fear for smaller countries," it said. The summit also helped India to push for its membership in the NSG, which was blocked by China, as well as for a permanent seat in the UN Security Council (UNSC), it said. "The Brics summit brings India an ideal mechanism to articulate and push for its reformist demands together with like-minded countries. This common front became particularly valuable for New Delhi, especially as its arduous bids for Nuclear Suppliers Group's (NSG) membership as well as for a permanent seat on an enlarged United Nation Security Council have both met frustration," it said. 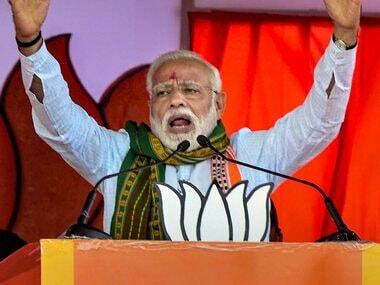 The daily said that India successfully projected itself as the fastest growing economy compared to other members of the Brics (Brazil, Russia, India, China and South Africa). "During the summit, India presented itself as a bright spot in a bloc whose other members have been buffeted by economic headwinds to varying degrees. With a GDP growth rate of 7.5 percent in 2015 against a rather gloomy global backdrop, India has replaced China as the world's fastest-growing large economy," the article said. "Only three years ago, India was still labeled as one of the 'RIBS', whose feeble and volatile growth contrasted sharply to China's robust performance. Nowadays, the Russian and Brazilian economies have deteriorated into recession, South Africa struggles to avoid the same fate, and China's decades-long economic boom has geared down," it said. "But India finds confidence in talking about economic matters. After all, the setbacks undergone by its fellow countries made India's recent economic achievements shine even brighter in comparison," it said. 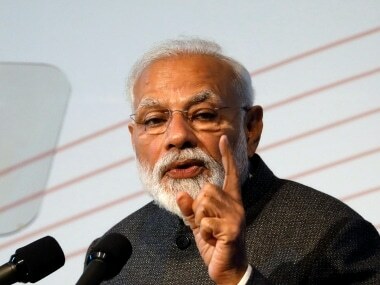 "Although India's domestic reforms have only made limited inroads in key areas such as land acquisition and labour regulation, an aspirant (Prime Minister Narendra) Modi equipped with newly-gained confidence on India's growth prospects has clearly made the country more proactive," it said. 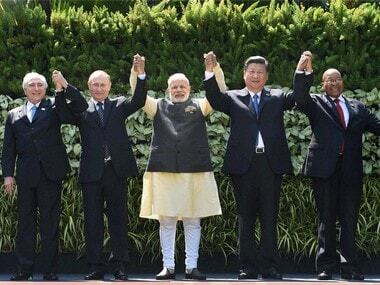 For India, the daily said, this Brics summit has been a wonderful platform to coordinate efforts in reforming current global economic and finance governance. "This effect becomes more visible as the operationalisation of the New Development Bank (NDB) and the Contingent Reserve Arrangement (CRA) have put pressures on the current international finance system, giving India tangible leverage in demanding relevant reforms," it said. For example, the Goa Declaration urges advanced European economies to cede two chairs on the Executive Board of the IMF, to which India may have an "upper hand to claim thanks to its huge potential and robust growth recently," it said.